The tube strike has only been going on a couple of days but so far it has taught me two very important lessons. The first is that I should own a bicycle and the second is that omni-channel retailing will dominate in the coming year. As I stood crammed onto a bus with what felt like all 4 million people said to be affected by the strike, I was envious of all the bicycles zooming past. Knowing there were more strike days planned, I pulled out my mobile and searched for bicycle shops in London. I clicked around a few sites until it was (finally!) time to get off the bus. Shoppers are now highly knowledgeable, better informed and well-connected at all times through multiple devices. This is where omni-channel retailing comes in. My mobile search didn’t convert into a sale in that moment, but I did continue researching bicycles later in the day, drawing my attention to the fact that consumers and the consumer purchasing cycle has drastically changed. Omni-channel retailing is about providing shoppers with a strong consumer experience throughout multiple channels. There must be consistent and effortless message across all sales platforms: mobile, desktop, tablet, in-store, mobile in-store and call centre. Born from multi-channel retailing, omni-channel is more about looking at the bigger picture when fulfilling a satisfying consumer experience. Retailers need to be aware of an alternative conversion pattern, where you will not necessarily witness traffic from one platform converting on the same medium. Let’s revisit my search for a bicycle. I first searched on my mobile but later on in the day I used my desktop to check the site and seek out the specifications of the bicycle that caught my eye. I also noticed that the prices online were very competitive. While I was tempted to buy the bike at that exact moment, I couldn’t commit without a test ride. Is a lack of conversion at this desktop stage a sign of failure? Not at all. Being able to find that exact model easily from my desktop was important for my journey as a consumer, as was seeing competitive prices. I may not have purchased a bicycle as of yet, but I remember the name of the shop that was offering the model I liked, at the price I loved. This is because when retailers are visible across a variety of mediums, consumers can utilise all technologies available to make an informed decision about a particular brand, thus enabling an effortless action to purchase. According to a recent study by GE Capital Retail Banks, seven of the top ten activities carried out by mobile users are shopping related, and the number of omni-shoppers using multiple devices in and out of the store is also increasing. This means that if I were to go into the cycle shop’s brick-and-mortar store for a test ride I would expect to see the same model I liked on my mobile at the price that was advertised to me on my desktop. I am not alone, a massive 80% of store shoppers check to see prices online. According to a report by MIT, and a third access information via their mobile phones while situated in store.As consumers demand access to information across multiple channels, retailers need to allow that same information to follow the consumer on their journey, while instigating certain incentives that influence customer buying decisions. This has all suggested the beginnings of a connected shopper with more complex decision making processes and greater expectations for their shopping experience. Consumers can access information at any moment in time due to the smartphone revolution, limiting restrictions and facilitating access to any information required. Due to this new wave of cross-channel shoppers, it is equally difficult to measure incremental sales and revenue across multiple devices. One way to address this issue could be to look at the combined number of sales across all channels. Macy’s, a chain of upscale department stores, has taken this approach. They have even created the position of chief omnichannel officer “to oversee the integration of store, online and mobile operations.” Alternatively, Sephora, a care and beauty retailer, uses a loyalty program to try and track customer journeys. Some channels of course, are harder to measure than others. Organic search, for instance, is harder to track than paid, particularly since AdWords started estimating multichannel conversions, originating from mobile ads. The functionality is not perfected yet, but attempting to track this process is in itself an important step. The main point here is to realise and understand the changes taking place and the ways in which retailers and brands can exploit the opportunities before them. Had I not seen the cycle shop on my mobile, would I have gone to their website or considered visiting their store? Visibility is a key component to omni-channel success and retailers are advised to embrace the shift to integrated shopping experience through a range unified platforms. As omni-channel retailing acts to facilitate a more knowledgeable consumer, it only makes sense to make sure you are searchable and to employ well informed store employees whose knowledge about products and processes are second to none. Interested in more content like this? 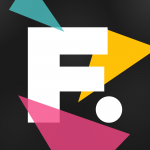 Subscribe to the Found newsletter for the latest digital marketing news.